Browse conveyor-systems-parts suppliers by country and region. SS Dip Glazing Conveyor We, as an eminent enterprise in the industry, present SS Dip Glazing Conveyor as per customer needs. During our manufacturing, we make sure that shrimps can be glazed rationally by our product. The glazing operation is made easier and flexible as the speed of conveyor is adjustable. 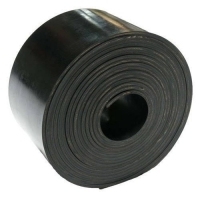 For reducing weight and avoiding rust formation, we employ modular belt in it. An electrical box and a control panel also come along with it. SS Incline Conveyor For enabling the transfer from one level to another level floor, SS Incline Conveyor is used. Thanks to subzero temperature, the Modular belts with clits used in it will not have an effect. For avoiding contractions due to surroundings, a careful and precise selection of materials is done. A maximum inclination of 45 o is possible for mounting on this conveyor. A special modular belt is used at designed angle of restriction to convey the product from one floor to another floor. Short on time? Let conveyor-systems-parts sellers contact you. SS Loading Conveyor Jeya Truck Loaders provide an efficient, fast, and economical solution for loading / unloading of packages into and from trucks. Multi stage telescopic with single / double and triple stages can be used for 20, 30 and 40 foot container loading and unloading applications. Bearings used in these types of conveyor are standard one and not easily fatigued. Belt used in these conveyors are PVC Food grade belt and is very suitable for food processing industries. Some of the features of SS Loading Conveyor are : Just 2 persons involved in operation. No breakages during loading. Quicker and faster loading. Saves Money, Time and Energy. Continuous loading and unloading can be done. Many other significant gains. SS Poultry Deboning Conveyor Dedicated towards achieving our aim of completely satisfying our customers, we are engaged in delivering SS Poultry Deboning Conveyor. Poultry Processing Stainless Steel SS Poultry Deboning Conveyor is applied in deboning of the chicken and separating breasts, legs and wings. 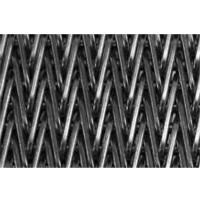 The conveyor belt is strong and reliable as it is Stainless Steel Chain link belt. As per the worker’s pace, its speed can be adjusted. This occupied lesser space and is available for feasible rates. SS Poultry Processing Conveyor Various types of Poultry processing conveyors are also offered by us according to customer specifications. Promising hygiene as the top most priority to our customers, we manufacture these conveyors in stainless steel materials. Several types of Poultry handling conveyor system such as live bird handling & unloading conveyor, evisceration conveyor, processing conveyor are being fabricated by us. We also promise precise and smooth operation to our customers. SS PUD Shrimp Washing and Grading Conveyor We, being an eminent name in the industry, offer SS PUD Shrimp Washing and Grading Conveyor. This system is handy for reducing labor effort in grading and in improvement of its accuracy. It is equipped with a PUD washing system at feeding end. It is highly durable and corrosion resistant as it is manufactured making use of stainless steel. According to sizes, it is possible to separately collect the washed and graded PUD shrimps at delivery end. SS Radius Conveyor For the situations where conveying direction is not straight, we provide a solution in SS Radius Conveyor. It is designed for application in transfer of products where the angle ranges from 45o to 180o. As per the customer’s plant blueprint, we design conveyor layout. The conveyor’s routing designing is given ultimate effort by our skilled engineering. Our team of experienced professional takes meticulous care of the design. SS Roller Conveyor Venturing on our high-tech machinery and world class facility, we aim to mesmerize our customers by excellence. Designer Pendants on offer are available in an assortment of varieties. Through SS Roller Conveyor, it is possible to transfer the raw materials Tub unloaded at receiving area to processing hall. It can bear load and rotate freely during operation thanks to its meticulous designing. This conveyor is reliable as standard bearings are used in it. We make available Gravity powered Roller conveyor and Belt driven Roller conveyor. The raw material used in manufacturing is of top grade quality. SS Screw Conveyor Stainless Steel Screw Conveyors find vast applications in Food industries. We manufacture these types of screw conveyors according to customer’s needs. Each segment of screw leaf is precisely fabricated and set according to speed and feed. Huge type of Stainless Steel Screw Conveyors is manufactured by us for chilling the chickens while processing it. This Conveyor uses a unique technique which enhances uniform & smooth flow of material. The level of standard used in this conveyor is not less when compared to other manufacturers. SS Shrimp Beheading Conveyor This equipment helps the labors to peel the head of the shrimp and collect the headless material for further process. It consists of Three Tier Conveyors running at various heights. The center conveyor is merry-go round conveyor. The washed raw materials are fed in this conveyor through feeding chute. The labors collect these materials and keep it on working table. They begin to peel the head of the shrimp. They put the headless material on top conveyor and head of the shrimp on bottom waste conveyor. The headless material is collected at the delivery end. The waste material is collected at bottom conveyor and discharged out. Maximum of 15 persons on each side, totally 30 persons can work at a time. Some of the features about SS Shrimp Beheading Conveyor are : Variable speed to synchronize with labor’s pace. Separate conveyor system for waste collection directing to outdoors. Comparatively Increased product output when compared with previous processing techniques. More efficient and a safer way to peel of prawn’s head. Easy to relocate. Body structure designed precisely in order to make conveyor more durable. SS Shrimp Pan Defrosting Conveyor After freezing the shrimps inside the pan, the ice cake along with prawns has to be separated for packing & storing purpose. This is a tedious & time consuming job to be done manually. Shrimp Pan Defrosting Conveyor eliminates this issue and renders it as an easy process. This system consists of a conveyor system along with normal water spraying jet arrangement inside a small chamber. Freeze pans are set to travel on a confined path in conveyor. This confined path consists of shower line which sprinkles normal water on top of the pan. This process allows labors to separate ice cake from pan easily. The pans are stacked in a separate place and can be used in future. Some of the features of SS Shrimp Pan Defrosting Conveyor are : Efficiently saves time. Prawns with ice cakes are separated without damaging pans. Dripping water is collected in tank mounted at bottom reducing possibility of wet slippery floor. Reduces fatigue of labor and improves productivity. Continuous output at constant pace which results in uniform output. SS Shrimp Pan Setting Conveyor This conveyor is used for stacking the right amount of headless materials according to weight. Before stacking process the headless materials must be inspected in order to deliver the customer with quality material and to avoid rejection of goods. For this purpose, setting conveyor is used. It consists of an Inspection table with perforated sheet at top. The soaked materials are kept on the inspection table. After passing quality check, it is passed to Weighing table. Labors take a quantity of goods and put it in basket for weighing purpose. Once the right weight is displayed, the basket is kept on the setting conveyor. While travelling in the conveyor, labors take this basket and stack the goods inside the freezing pans one by one. Then they keep stacked pan on top conveyor and send the basket to starting point through return side of the belt. The stacked pans are delivered at other side of the conveyor. Labors collect the pans and stack them in plate freezer for further freezer room storage purpose. This conveyor consists of spray line mounted at the top side of the conveyor. This spray line can be used for cleaning purpose. Some of the features of SS Shrimp Pan Setting Conveyor are : By this conveyor, trolley usage can be considerably reduced. As the freezing pans are travelled on the conveyor, Labour movement is eliminated. Increased production output. Fast and accurate way of setting goods inside pans. Speed can be synchronized according to labor’s pace. Conveyors are designed by taking labor ergonomics into account. SS Shrimp Shell Peeling Conveyor Shrimp Shell peeling conveyor drastically reduces labor effort & movement. The shrimps had to be peeled before sending it into IQF. For this purpose, Shrimp Shell peeling conveyor is used. This conveyor System consists of Two Tier Conveyors. Labors standing at both sides collect the shrimps fed at one conveyor and begin to peel it. They place the peeled shrimp inside a tray and send it to IQF through another conveyor. Labor movement can be reduces along with increase in production output. Processing table for labor is also fixed along with this conveyor which makes it easy to work at the first time itself. Spray line is also incorporated to wash the shrimps. Some of the features of SS Shrimp Shell Peeling Conveyor are : By this conveyor, trolley usage and labor movement can be considerably reduced. Stainless steel used here acts as a resistant to corrosion and can be used in any environment. Adjustable speed to meet labor’s requirements. SS Spiral Conveyor We present SS Spiral Conveyor to our esteemed customers. It is used in elevating the products up to higher level floor. It is better than inclined system in terms of occupying space. We also manufacture gravity powered roller spiral conveyor. For ensuring smooth functionality and reduction in labor effort, it is designed meticulously. Rest assured of quality as we are very cautious about the quality of raw material. SS Tile Corner Bumper Guards There is a chance of trolley hitting walls while moving causing damage to tiles embedded on walls. For avoiding this situation, we present SS Tile Corner Bumper Guards. They are made of stainless steel. Hence, they do not face the problem of corrosion for long and turn out to be a great protection to tiles. Owing to our first-rate distribution system, we deliver them at your doorstep at affordable rates. SS Transfer Conveyor : The conveyors which are used for material transfer inside a food processing plant is also fabricated by us. We use high quality Stainless Steel material to promise long life fault free equipment. In addition to that, our engineers will create a layout drawing according to plant layout and customer suggestions. Our main while designing layout is to transfer the material in a quick and safest way to ensure proper and damage free conveyance. 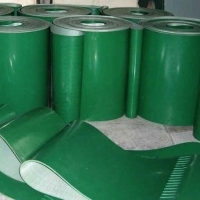 Various types of belts such as Rubber belt, Modular belt & SS Wire link Belt can be used in conveyor according to customer’s needs. Features : 1. Labor involvement can be reduced. 2. Transportation time can be considerably reduced. 3. Trolley usage can be reduced. 4. Due to Chillness retain facility; goods can be transported in a safe manner. 5. Building to building conveyor should not be a disturbance to vehicles as the conveyor is fixed in elevated position. 6. Flexible system enables numerous options to transfer goods to individual cold store." SS Vegetables & Fruits Handling Conveyor Our skillful Engineers had stepped into Vegetables & Fruits Processing Plant. We manufacture conveyors to handle and process Vegetables & Fruits. These conveyors can be fabricated according to customer’s needs and plant layout. High quality stainless steel material makes this conveyor resistant to corrosion and makes it durable. Two tier or even three tier conveyor can be manufactured to transfer fruits and skin separately. Waste carrying conveyor can also be incorporated for carrying out waste materials.